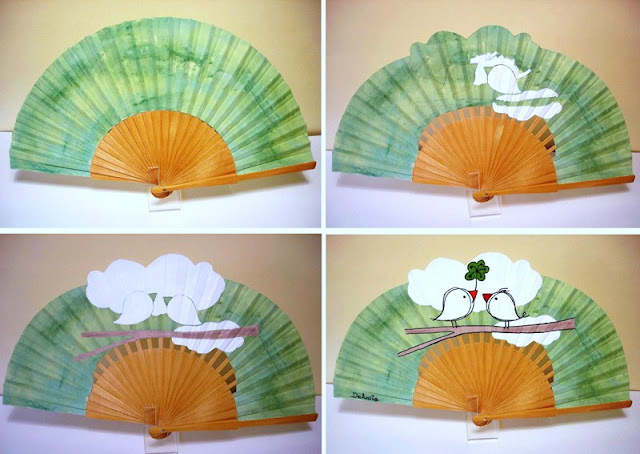 In a previous post I introduced Hand Fans Fashion. Now I am presenting one of the artists, Silvia Ruso, here working on one of her hand fans. Silvia Ruso is born in Cadiz, Spain. She studied Arts and Crafts at the Art School of Cadiz . Whenever she has time, she turns away from the noise of the city and seeks to penetrate natural places, a beach, a forest or just a quiet park surrounded by tall trees, to perceive the nature, feel part of it. This small gesture fuels her imagination, which is why their fans, mostly, are inspired by the sea, forest, flowers, light and water. Vogue Fashion's Night Out: Are you ready?